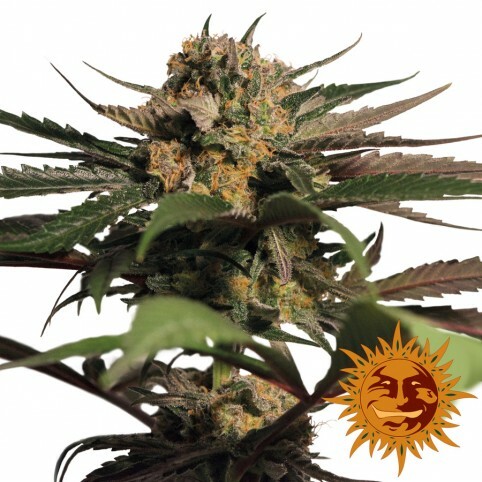 Violator Kush cannabis seeds are a heavy yielding Indica dominant strain which grows short and very bushy. This strain is relatively easy to grow and good for compact grow spaces as she will only reach 50 to 100 centimeters tall in height but will grow bushy in width with many side branches. Once finished these plants will display massive amounts of crystal covered trichomes and produce a very beautiful cerebral high with couch locking effects. Violator Kush flavors are pretty awesome too and taste of that classic Kush with earthy undertones. Her effects won’t disappoint users either because of the dank, high THC, crystal covered buds. You can buy these cannabis seeds today discreetly at SeedMasters.com! Exclusive!! !Here we have a small cannabis batch of Grapefruit inbred with Easy Sativa. An 80% Grapef..